This is Captian Nestryx, commander of the assult forces of the 14th Grand Company. 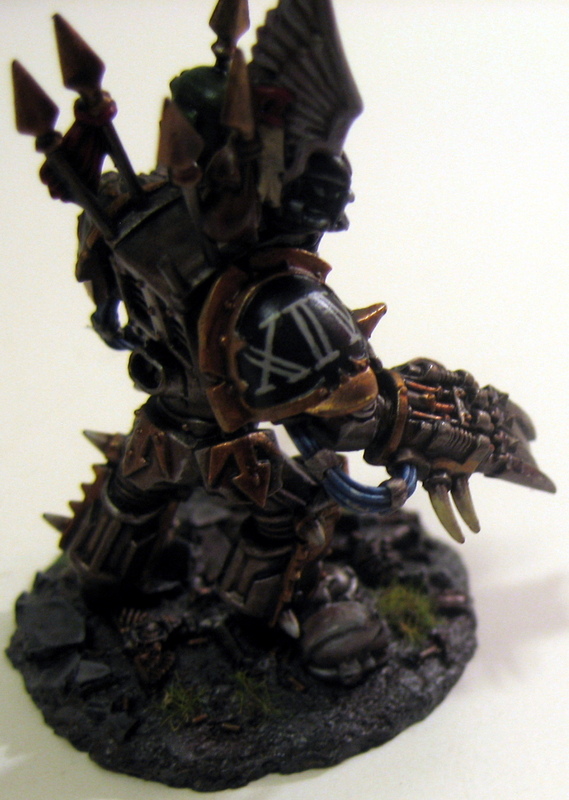 He marches to war in his Terminator Armour and dual lightning claws. 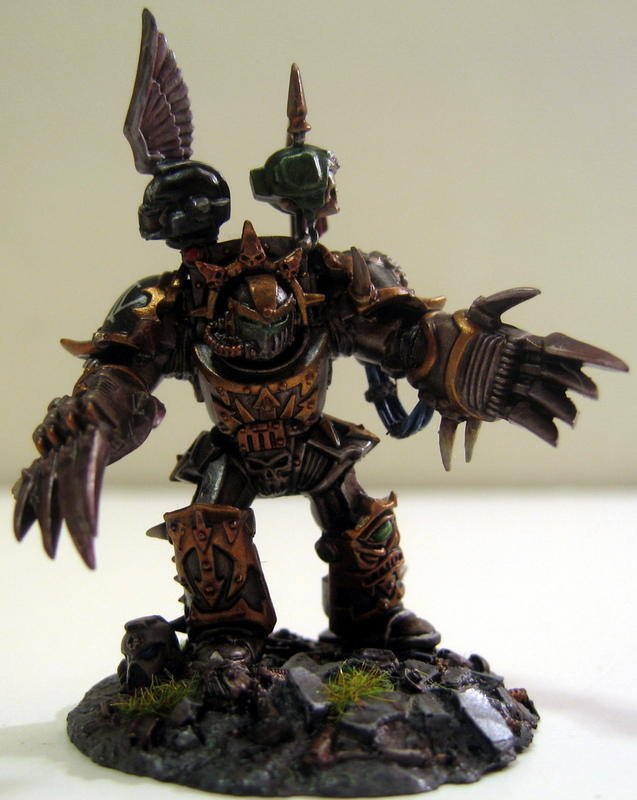 As for conversion work on this model I used the Chaos Lord in Terminator Armour kit and used the two lightning claws in the box. I didn’t like the position of the claws so I cut each hand at the wrist, turned is slightly and re-glued. To make this work I had to redo the power cables running to each hand. I made the new cables out of 5 pieces of plastic rod and wrapped with a thin strip of green stuff. 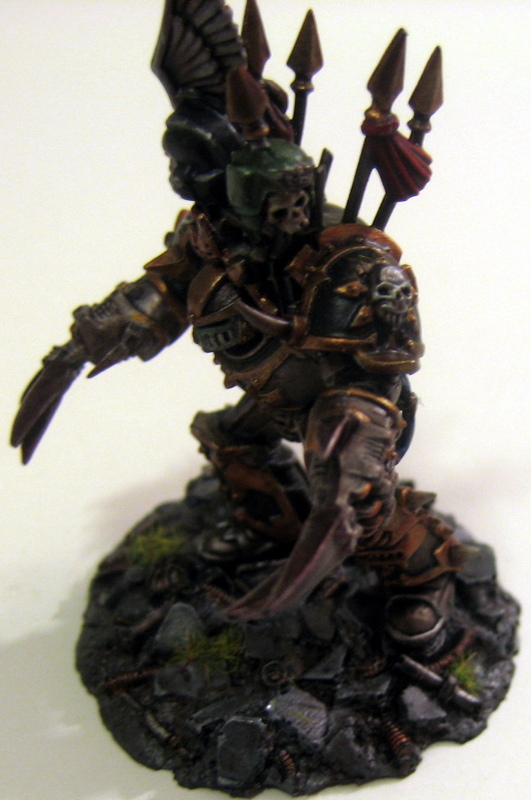 I also used a head from the Iron Warriors upgrade bitz set. This required some sanding of the head and armour opening to allow it to fit, but it has a great result. The base is one of the ones included in GW’s basing kit. It is the same size as the normal base for Terminators so I just used it instead.